Yevno Azef (1869-1918) was a provocateur, a terrorist and a double agent who feigned loyalty to both the Revolution and the Tsarist regime. Today, he remains a symbol of treachery in Russian history, and only by accident was his brazen web of lies exposed. In 1908, scandal shook the Socialist Revolutionary Party (the SRs), which at that time was one of Russia’s leading revolutionary forces thanks to its dozens of audacious terrorist attacks on high-ranking officials. The prominent publisher, Vladimir Burtsev, claimed that the head of the SRs Combat Organization, a man who was famous for his bravery and planning skills, was in fact a secret police informer. At first, no one within the party believed Burtsev. The man accused of treachery, Yevno Azef, was a legend among revolutionaries. He planned and carried out the most successful operations in the party’s history – assassinating Interior Minister Vyacheslav von Plehve, and Grand Duke Sergei Alexandrovich, who was the uncle of Nicholas II and Moscow’s governor. Accusing Azef was like someone today accusing Abu Bakr al-Baghdadi, the head of ISIS, of working for the CIA – no one could imagine it was possible. “You’re a terrible man, you’re slandering a hero,” one of the SR leaders told Burtsev during the internal investigation. But Burtsev was right. Azef had been working for police from the very beginning of his terrorist career. However, the revolutionaries were not the only ones fooled. Azef had been deceiving the government, as well. In fact, he was loyal only to himself, and money. Azef was 23 when in 1892 he wrote a letter to the Russian police offering his service as a spy. At that time he was living in Germany, studying at the Karlsruhe Institute of Technology. Historians believe that Azef, bred in a poor Jewish family near Grodno (now Belarus), had to leave Russia for Germany after committing a theft. He was often in contact with Russian students living in Karlsruhe who adhered to revolutionary ideas, and since he needed money he decided to sell information. The Okhrana (the Department for Protecting Public Security and Order) gladly embraced the enthusiastic student. Azef’s superior officers assessed him as a talented and meticulous agent. “The thing that fears me most in the world is to lose your service,” one of his bosses wrote to him. After six years of snitching on his fellow students, informing the Okhrana about illegal literature dissemination and ties between Russian and German socialists, Azef moved to Russia where he continued to work undercover. Not only did Azef successfully infiltrate the SRs, but after a few years he headed the most secret cell within it, the Combat Organization (CO). The CO was committing attacks on high-ranking Czarist officials, which the SRs believed was the best way to provoke clashes between government forces and the masses, thus triggering a revolution. No one in the Okhrana knew Azef’s real position among the SRs; police chiefs were sure that he was just an ordinary member. This uncertainty let the provocateur begin his own game, and as head of the CO he plotted a great number of terrorist attacks, informing police only about several pending operations. Not surprisingly, the government prevented the attacks that Azef revealed, but the others often were successful, including the assassinations of von Plehve (1904) and Grand Duke Sergei (1905). At the same time, Azef spared no effort ratting out his revolutionary comrades to police, especially those who were his rivals within the SRs. This put Azef in a unique situation. Both the SRs and the police trusted him without a doubt. The revolutionaries could not imagine that a man who planned the party's two most successful operations was a secret police informer. Meanwhile, the Okhrana chiefs praised him for preventing a number of terrorist attacks and helping to arrest several dangerous criminals. The double agent became a puppet master controlling both sides in the conflict. Vladimir Burtsev, a publisher close to revolutionaries, found out about Azef’s secret life almost accidentally. In 1906, he met with a former Okhrana officer who said that one of the highest-ranking SR leaders was working for the government. After meticulous analysis, Burtsev, who later would be named “the Sherlock Holmes of the Russian Revolution,” became suspicious of Azef. Lopukhin’s testimony was crucial during the SRs own investigation, and it helped Burtsev prove that the legendary “Ivan” (Azef’s pseudonym) was a provocateur paid by the government. The SRs were devastated – Azef’s treachery shattered faith in the revolutionary struggle. “We’ve lost our right to be naïve. A man who we trusted turned out to be a cheat and a traitor who desecrated everything we held sacred,” the SR Vladimir Zenzinov gloomily wrote. While all of Russia was cursing him, Azef quickly left the country and fled to Germany where he lived the life of a prosperous bourgeois under the name of Alexander Neumayer for almost a decade. When World War I broke out he faced serious problems and the German government interned him as an enemy alien. 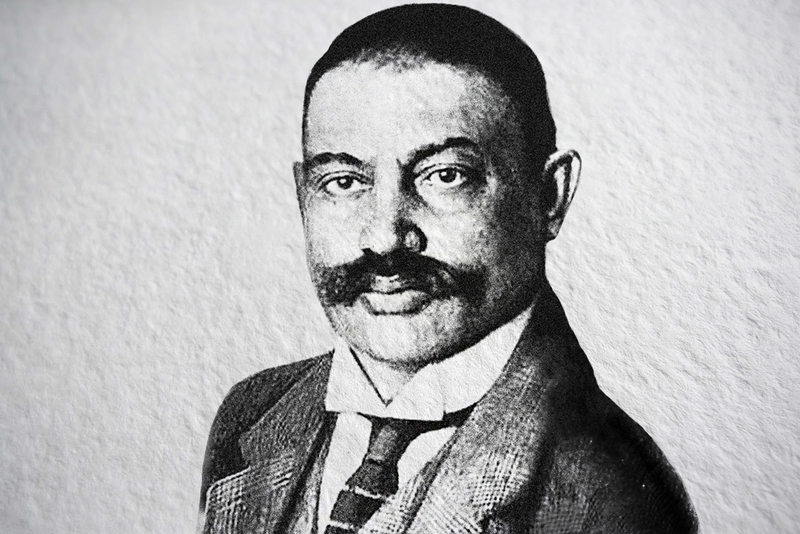 Azef spent two years (1915-1917) behind bars and died of kidney failure within less than half a year after his release. His tombstone in Berlin has no name, just a number.